A woman browses her smartphone as she walks by a Huawei store at a shopping mall in Beijing (Dec. 11, 2018). The outrage pouring out of China at the arrest of Meng Wanzhou, Huawei’s chief financial officer, has been reported worldwide. The Chinese government made threatening remarks promising retaliation against Canada, and indeed, two Canadians so far have been arrested in China. But the fury also comes from the Chinese people. Somewhat incongruously, Apple phones are being boycotted, despite the fact that Apple presumably has little to do with the charges against Meng. WeChat is alive with indignation from everyday Chinese. Wang Jianyi (not his real name, for his own protection) is an urban planner in a design institute at one of China’s best universities. He is also a Chinese Communist Party member; a parent is a member of the Chinese Academy of Sciences, China’s pre-eminent organization for scientific scholars. His conversation with me on December 8 illustrates the emotional response that Meng’s arrest has engendered in China. “How can there be any charges against Meng? How can she have done something wrong? This is just a way for Trump to punish China,” Wang told me. “We Chinese love Huawei. Huawei is our hope. Huawei shows that China can be strong and powerful,” he continued, before launching into a passionate defense of the accused. “Meng can’t have done anything wrong. She won’t hurt Huawei. She is Ren’s daughter!” he quietly wailed, tears coming to his eyes. He was referring to Ren Zhengfei, the founder of Huawei. Wang was not acting. This was not disingenuous martyrdom. Wang, and many like him, genuinely feel that Huawei is symbolic of their country’s rise to a resurgence of power and prominence. The Huawei story is told and sold in China as a romanticized rags-to-riches saga: A middle-aged rank-and-file retired People’s Liberation Army officer takes his meager savings to form a private company, nearly unheard of in 1987. He braves political, financial, and societal disdain and discrimination to eventually create one of the world’s largest and most successful telecommunications equipment companies, going head to head with Western competitors, and winning. This characterization is a result, yet again, of a closed and controlled Chinese media that ties its stories to the political objectives of the Chinese Communist Party. In the case of Huawei’s founder, Chinese media portrays Ren Zhengfei as the Chinese embodiment of Don Quixote. Ren, the army officer-turned-entrepreneur founder of Huawei, is seen as a standard-bearer for China’s experiment in private, market-based economy business, and is lauded as a pioneer in creating a culture of employee responsibility within an employee-owned company. There is, of course, little mention of Ren’s ties to financing for his fledgling venture, or his relationship with Communist Party power brokers who have helped him along the way. There is even less acknowledgement of Huawei’s business practices in the heady days that took China’s communications sector from one in which access to a telephone was a luxury to one in which that access is now nearly universal. In going head-to-head with Huawei in contract negotiations, system installations, and operational environments in Chinese telecommunications operators in the 1990s, the picture was not as rosy as China and Huawei would like to paint it. In the 1990s, your correspondent worked for several of the European telecommunications companies that were providing the systems that modernized China’s communications landscape. In those roles, I covered the country, and as such, have been in well over 100 Chinese operator equipment rooms, both landline and mobile, throughout the length and breadth of China. In some of those venues, my colleagues and I encountered Huawei engineers. In one blatant instance in Wuhan, we found them pulling and photographing our printed circuit boards (PCBs) — in other words, the brains of our systems. Those telecom equipment rooms are impossible to enter without the authorization of the government operator, such as those now known as China Telecom, China Mobile, and Unicom. In some locations, they are even guarded by the military. Finding Huawei engineers there, in locations where they had not yet sold equipment and where they therefore had no right or reason to be, meant only one thing: cooperation between the Chinese government-owned operator on the one hand, and Huawei on the other, to effect the transfer of technology from the foreign manufacturer to the homegrown one. 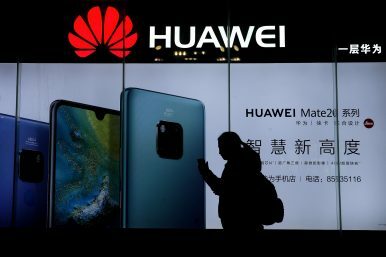 There is one problem with these characterizations of Huawei as a brave and independent loner that, against all odds, has become one of the largest manufacturers of telecommunications equipment in the world, rivaling and exceeding its European and American competitors. Once it is understood that Huawei founder Ren Zhengfei is a member of the Communist Party of China, the entire picture changes. Ren’s Party membership is a complete refutation of his biographer’s claim, and the received wisdom, that Ren Zhengfei had no help along the way, and that he has “no friends” in political circles. On the contrary, as a card-carrying member of the CCP, Ren had tens of millions of friends within the exclusive club of the Party. This is the part of the story that the average Chinese citizen either ignores, or does not know. They do not want to see Ren as a cozy insider of China’s political elite. In China, the Huawei story fills a vacuum. Most societies need a hero, and if one isn’t immediately available, one is created. The backlash in China against Canada and the United States for the arrest of Huawei’s founder’s daughter, Meng Wanzhou, can best be understood by understanding the carefully-crafted legend of Huawei, as created in the official Chinese media space. And for those who doubt Huawei’s privileged place in the official Chinese playbook, they would do well to consider the degree to which the Chinese government has now come to the defense of Huawei and its founder’s daughter. For an outsider and an outlier, Huawei seems to have a curiously large contingent of very powerful friends.